Jayeshbhai, a legendary gandhian and friend explains about Tantra and Tatva: ‘In Sanskrit Tantra means method, technique; Tatva means intention, volition. If you have connected with Tatva, Tantra will grow organically…”. What Jayeshbhai is talking about is something with many interpretations and with a lot of depth. One thing I take from it is how important it is to create and find spaces which go beyond method or technique. In the story of religions, you might say the problematic of such limitation has been very apparent. We haven’t found ways to go beyond method, beyond our different tantras; we haven’t respected our different ways of understanding the truth and this has created a whole lot of negative ripple effects that still will travel generations. Falling into the other extreme, you might say we could go into condemning methods and the diversity of approaches, and this would be also the dogmatism of the ‘no method method’. In the middle, I believe methods and techniques have their very important place, and for me it would be oversimplifying to say that we must move beyond method. That said, I do believe we need such beyond-method-spaces and this is what we want to celebrate here :). Last years, it has been wonderful to see how different currents of peace merge into the river of humani-team. There are many examples that give hope, many chants to our inherent unity. In a world that seems broken at times, these chants of unity are more necessary than ever, and many love warriors around the world are holding that space of diversity with grace. From India to USA to Japan, all over the world people weave a culture of peace. We will not see it in the sensationalist news, but it’s there, happening all over the place. One of such prime examples is the inspiration coming from Japan. Many beautiful seeds have been planted there and are now blooming in many corners of the globe. A friend of mine says every culture has at least one Gift for the World. In Japan, I saw clearly that one of their main gifts is their delicacy and their great taste for beauty on its finest and most meaningful forms. It’s not a coincidence that Japan brought origami to the world, or their famous gardens, or the beautiful Kintsugi, a form of art that turns broken pots into unique art pieces. 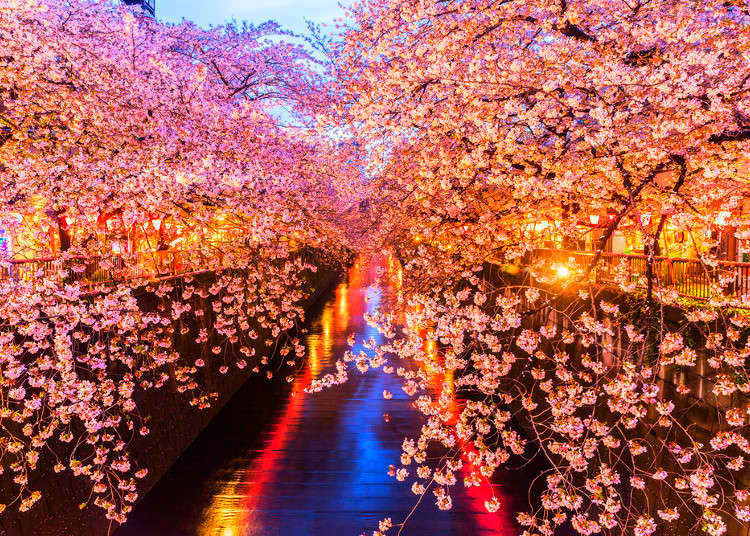 It’s also not a coincidence that Japanese people are one of the very few cultures that has a Festival to celebrate beauty, the festival of Hanami, which celebrates the blossoming of the Cherry Tree flowers. In that cultural context the beauty of unity in diversity has also bloomed. A myriad of initiatives with universal peace at the center has emerged from the river of collective consciousness. One of such examples is the Symphony of Peace Prayers, a gathering which is a microcosm of what unity in diversity looks like :); people from all religions, all beliefs, all cultures gather under the name of peace, with this universal intention (tatva) of vibrating love and peace for everyone in the world. It’s a wonderful event that gathers around 10.000 people to pray for peace at the feet of the sacred Mount Fuji, and many others also join in different corners of the world. Prayers of all religions are said, music from various cultures is played, dances from various countries performed, visitors from all over the planet are celebrated. It’s quite overwhelming! Another gift of beauty that emerged recently in Japan is the Peace Poles, dedicated to peace on earth. Thousands of them are now planted all over the world, with this simple message: ‘May Peace Prevail on Earth’ in various languages… What a beautiful idea! It had to emerge in Japan ;). In recent years, it has been beautiful to see how there has been so much weaving between the ServiceSpace ecosystem, Gandhi Ashram ecosystem and the Peace Movement that started in Japan. 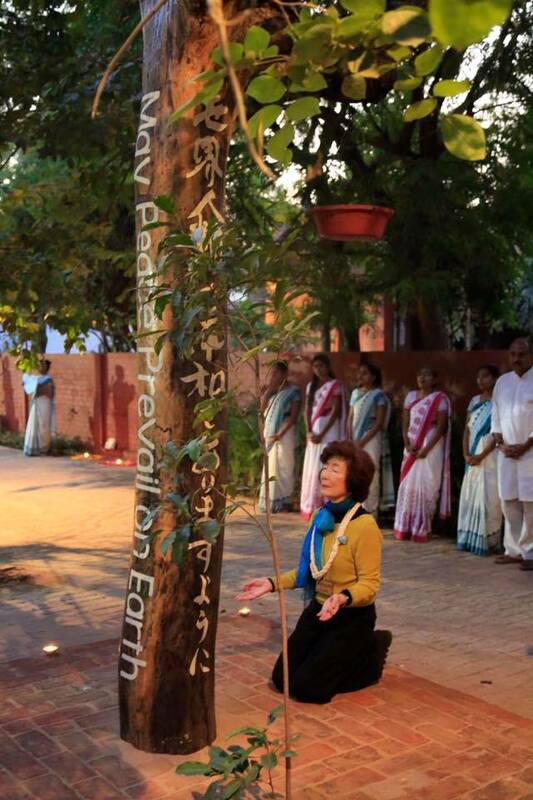 (…) Recently, many of us were witness to another very sacred moment, when Masami-san inaugurated a Peace Pole in the heart of the Gandhi Ashram in India… Again it felt like these two big rivers of peace were merging and becoming one. You can actually see Jayeshbhai behind :). Such rivers have given water to many hearts wounded by violence, grief, or ignorance and when they come together, they start to give more water to greater parts of the land. And so what is at the macro level it’s also at the micro level. 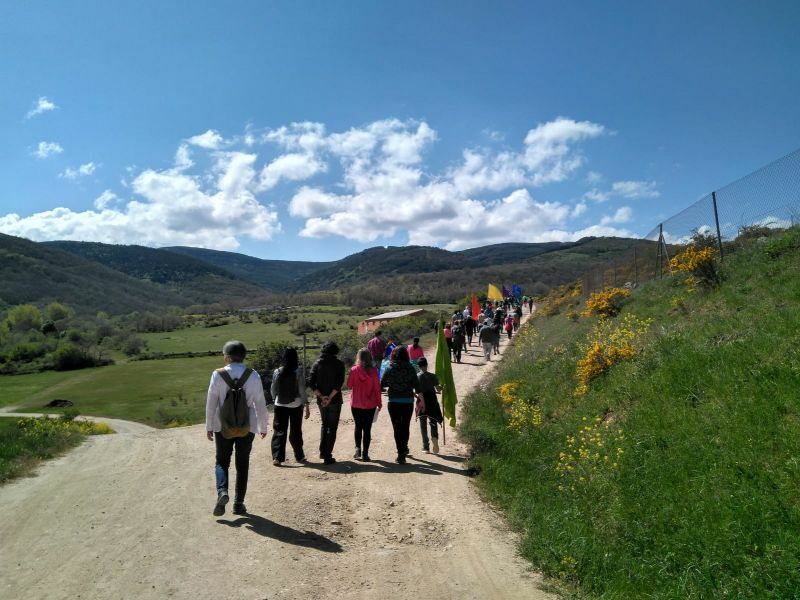 In Burgos, few amazing coincidences have happened that ignited this article and our wish to share the stories with you. I feel this is a great hope for the decades to come. How can we weave more between ecosystems with the similar tatvas, how can we generate a field of friendship that moves beyond organization towards our greater sense of humanity? To me, it feels amazing that we are cultivating that field of friendship, friendship that drives us towards our innate and universal tatva of peace for all. And this friendship is also driving us to places beyond our own organization, our own worlds. It is in that friendship field that magic has been unfolding locally too. 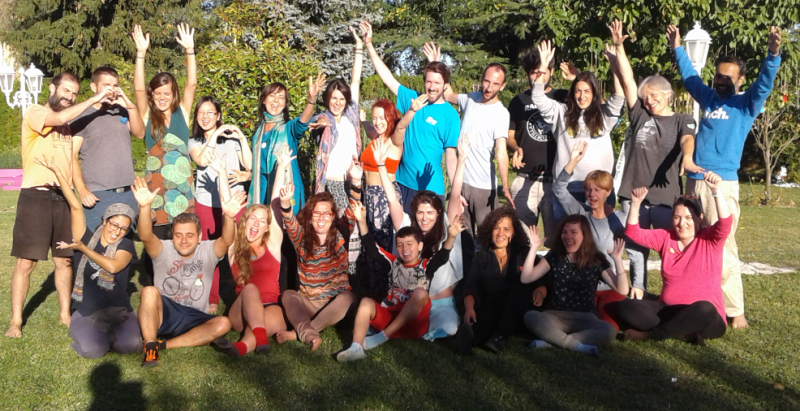 Last year, we had a retreat with noble friends Audrey from USA, Sheetal and Khush from India, Dana from Germany, Vicky from UK… In that retreat, our friend Quique was there too. 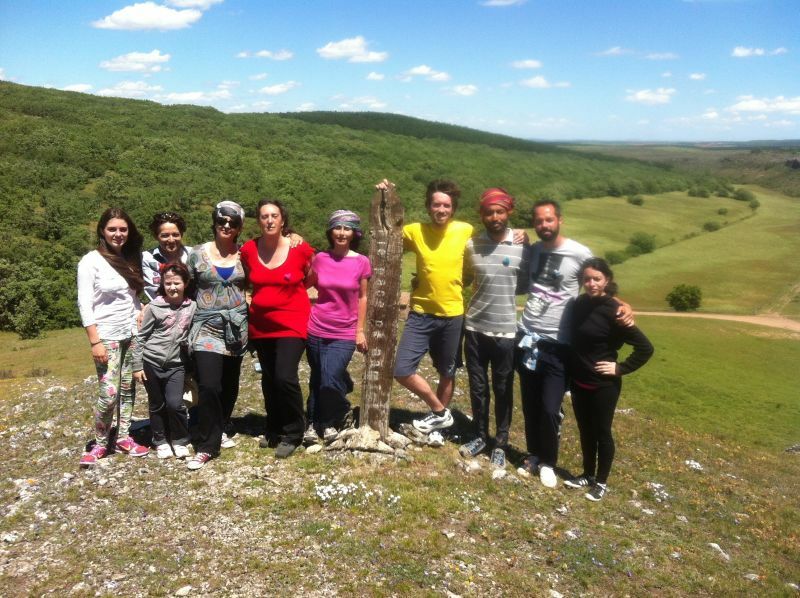 Just before the retreat we got a Peace Pole as a gift from Japan so we decided to plant it during the retreat :). We held a peace ceremony where everyone shared an intention of peace and then hanged a paper with that message on a Tree to finish it by planting the Peace Pole together. At the end of that closing ceremony, Quique sent a photo of the Peace Pole to another friend because she knew about the Peace Poles… Asun was this other friend who has been promoting the Symphony of Peace Prayers locally for more than 10 years now and she was actually one of those who planted that first Peace Pole near our home.When Quique sent her the picture she thought he might be elsewhere, maybe somewhere far away; neither she could have imagined that the Peace Pole was planted also five kilometers away from her home, and she was there at that time! So she just took the car and came to us… She said that such encounter gave meaning to all she had been doing last years and it gave her so much hope. From that field of friendship, two Peace Ceremonies have already been held and many other opportunities are on the go. People like Asun and Caterina have held the torch of Peace for decades now, and for them it’s beautiful to see a growing current of love behind such intention. Our last Peace Ceremony was held last Sunday, 20th of May, while noble friends also gathered with this ‘tatva’ of Universal Peace in different corners of the Planet. As we progress in our sense of inner peace, we feel it’s wonderful to be surrounded and supported by people with similar tatvas, noble friends with similar intentions of peace. Glad we are all together on this journey of realizing Humani-team!